the basics of the Christian faith together in a friendly and informal environment. Alpha is for everyone who is curious. No question is out of bounds and you are free to discuss as much or as little as you wish. At any point, if you think Alpha is not for you, that's not a problem. There is no pressure, no follow up, and no charge. 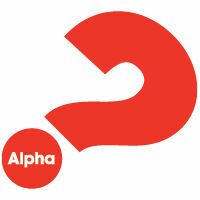 When is Alpha at St John's? Come and try Alpha and see what it's like!